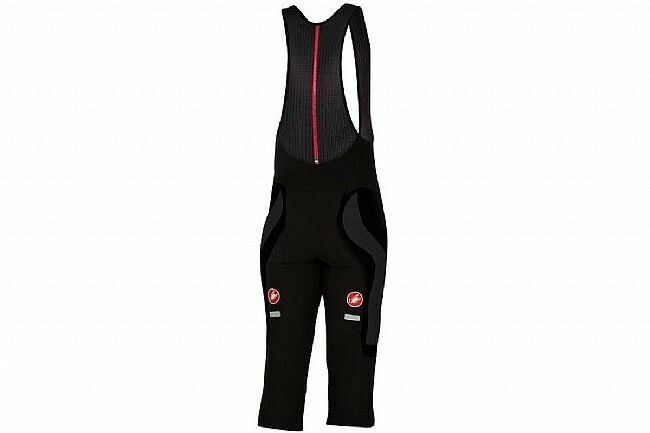 Castelli's Velocissimo 3 Bib Knicker both feels and performs like more premium models but without the higher cost. The Thermoflex fleece fabric used throughout is plush and is excellent at fighting off bitter temperatures. The dual-density, bacteriostatic KISS Air chamois keeps you comfortable all day long and shares the seamless anatomical design of Castelli's higher-end Progetto X2 Air pad. Mesh bib straps up top provide maximum ventilation and minimum bulk, and reflective accents keep you visible when that winter sunset starts to sneak up on you.